With the new year just around the corner, now is the time to start thinking about how you can improve yourself and your life. While many resolutions tend to fall by the wayside within the first couple months, improving your home’s security shouldn’t. If you haven’t taken steps to improve your home’s security, now is the time to resolve to stop putting yourself and your family at risk in 2017. Here are a few home security resolutions that are easy to stick to and will help keep your family safe. If you don’t already have a home security system, you’re putting your family at risk! Get a Security System. If you don’t already have a home security system, what are you waiting for? Without a security system, you’re seriously putting yourself at risk. 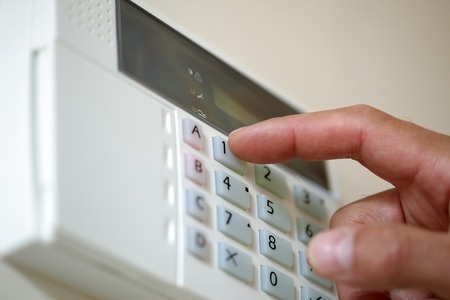 Home safety starts with a security alarm. Today’s systems are more affordable and easier to install than ever before, and at Colorado Security Products, we can help you find the one that’s best suited to your home. Check for Weaknesses. Walk through your property, and look for weaknesses that could allow intruders easy access to your home. Not sure what to look for? Doing a walk-through with a security technician is a great place to start. Invest in a Fireproof Safe. No home should be without a fireproof safe. In addition to protecting important documents from fire, a fireproof safe keeps burglars out of your belongings. To make your safe extra secure, bolt it to the floor. Purchase Timers for Lights. Most burglaries occur under the cover of darkness. Timers are inexpensive, and they ensure that there are lights on inside your home or on your property even if you’re away. Remember to Be Smart. The smallest mistakes – like hiding a spare key in an obvious spot or forgetting to lock your car – lead to countless thefts each year. Be smart, and take steps to prevent yourself from becoming an extra target. You can find hide-a-keys and solutions to protect your car at your auto locksmith in Denver. If you need help beefing up your home security in Denver, contact Colorado Security Products. Our experts can help you choose a security system that is well-suited to your home and your family’s needs. They’ll also help you check for potential weaknesses around your home and provide suggestions to improve security. Don’t spend another year risking your family’s safety! Call 303-756-1000 now to speak with a Denver security expert.